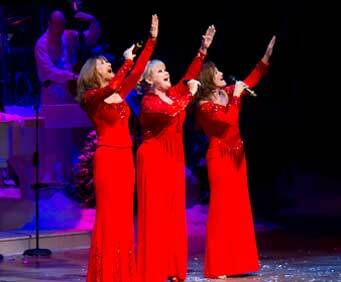 Christmas with the Lennon Sisters is no longer showing at the Andy Williams Moon River Theatre this holiday season, but guests to Branson can still enjoy a number of other entertaining live performances at the theater! 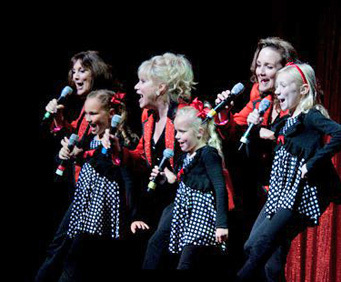 Make sure to catch the Lennon Sisters in their current Branson shows, the Andy Williams Christmas Variety Show Starring The Osmonds & The Lennon Sisters and The Lennon Sisters. 'America's Sweethearts of Song' will warm you with holiday spirit when you treat yourself to seats at Christmas with the Lennon Sisters. This stunning and engaging show brings you a brilliant performance from the Lennon Sisters, Kathy, Janet, and Mimi live on spectacularly decorated stage. The Andy Williams Moon River Theatre boasts an intimate and yet grand ambiance that is ideally suited for this lovely Christmas program. The fabulous lighting and sound system will enhance this magical entertainment experience. 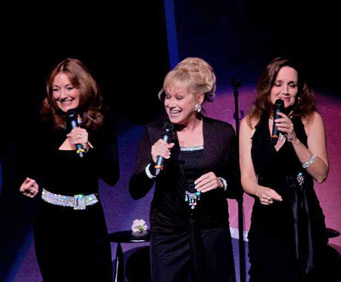 The Lennon Sisters have been a Branson tradition for years, and they host a family friendly show that is sure to please. With a beautifully decorated stage outfitted with holiday themed accoutrements and with each of the gifted sisters dressed in their holiday best, the scene is set for a festive, upbeat, and heartwarming tribute to the holidays. During the show, you may have the chance to hear some of your Christmas favorites including 'Deck the Halls,' 'Drummer Boy,' 'Merry Christmas From Our House,' 'Over the River and Through the Woods,' 'There's No Place Like Home for the Holidays,' and so many more. If you are planning a Christmas getaway to Branson this winter, make Christmas with the Lennon Sisters your entertainment choice. "Nicest theater we were in ." Dissappointed in lack of variety in the show. It had a lot of talking and just didn't live up to our expectations. Wonderful to see the sisters still performing. It was a great bonus to see peggy and diane at the end of the show.